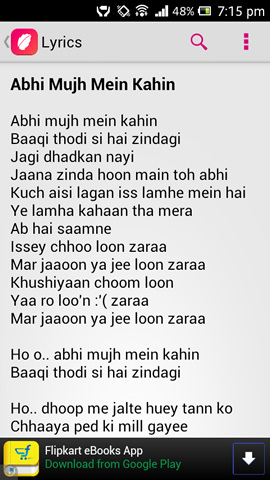 Hindi Songs Lyrics Android Mobile Application. We are glad and happy to release this app for our android users. 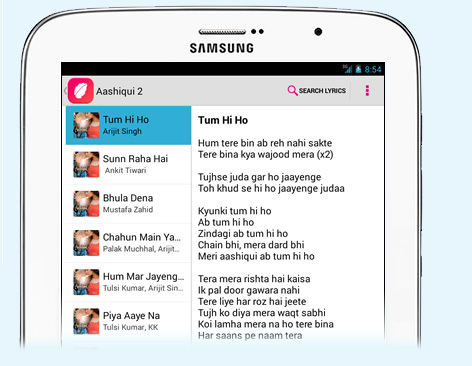 The mobile application will serve lyrics for Latest Hindi movie songs and some non-film songs. 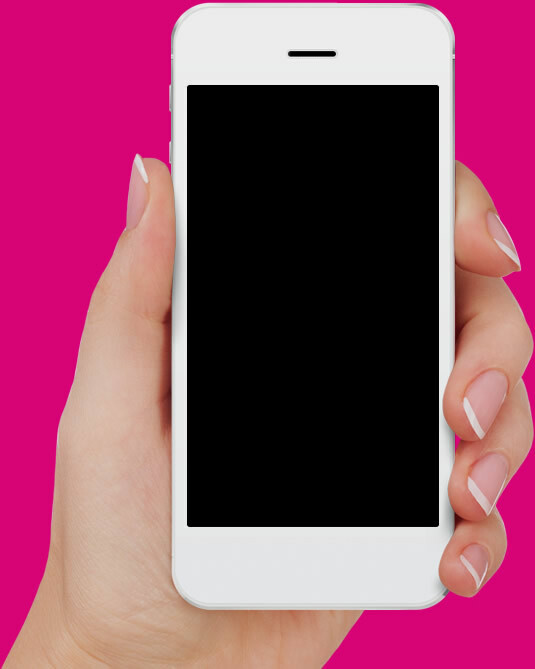 It works on android 2.2 and above on both mobiles and tablets. Stay updated with latest songs lyrics and search content from our powerful Cloud API. 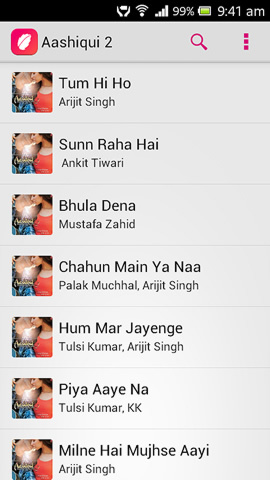 Light & Simple Android App for Hindi Songs Lyrics. Best Efforts are made to serve the correct lyrics for all Hindi Songs. No. 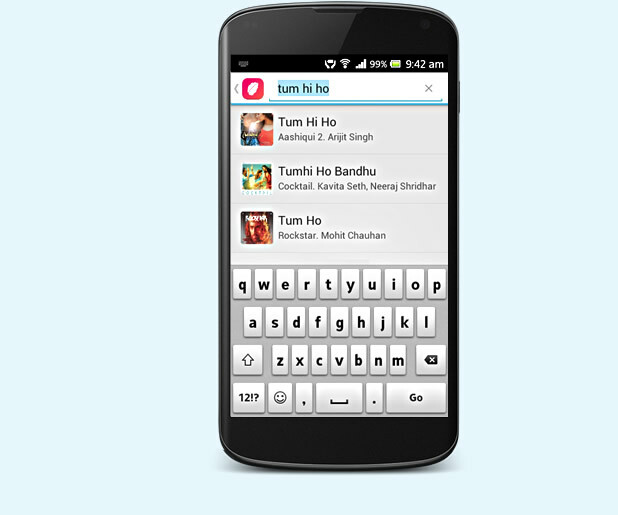 #1 Hindi Lyrics site presents the mobile App for its Android Users. While reading lyrics, long press on lyrics, a context menu will appear, click save. Now lyrics are saved into saved lyrics list. Even if there's no internet access you can read these saved lyrics anytime. You can use it to perform a song for dear ones and audience. 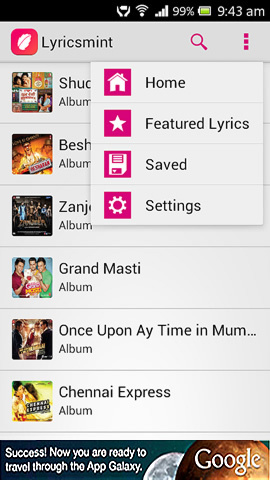 You can save upto 50 songs lyrics in offline storage. To delete song, while reading saved lyrics long press and press delete. It has a simple and effective design, thus easy to use! Lyricsmint App uses a powerful Cloud API. Simple, Intuitive and updated with new content. 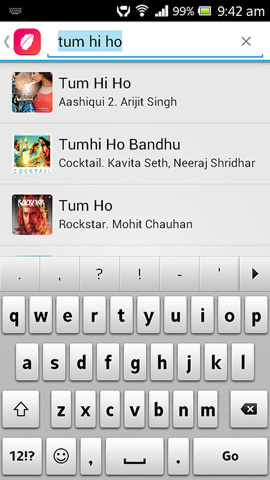 Keep on updated with new Bollywood music with lyricsmint mobile app. The app Seamlessly embraces simple design across all platform versions for android. Its main screen shows relevent highlights featuring music albums, directors and singers etc. 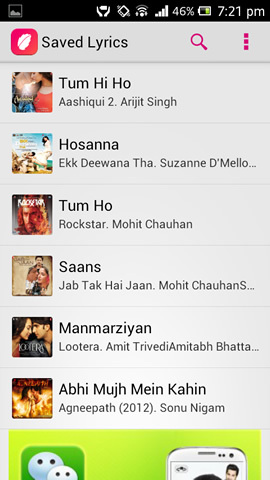 We showcase some new hot & hit and some special songs in featured songs menu. App will be updated frequently according to new music launches. For music lovers, From music lovers!